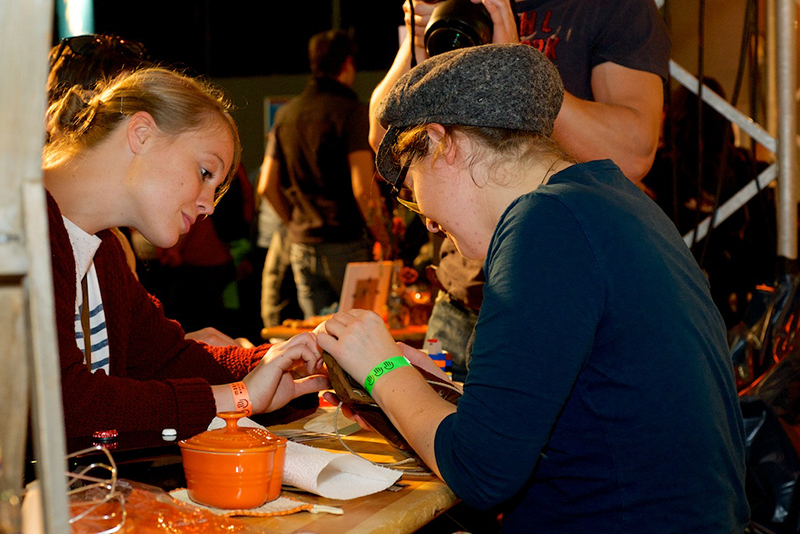 Hackaday Prize Bring-a-Hack at Make Munich Next Week! Attention Europe! 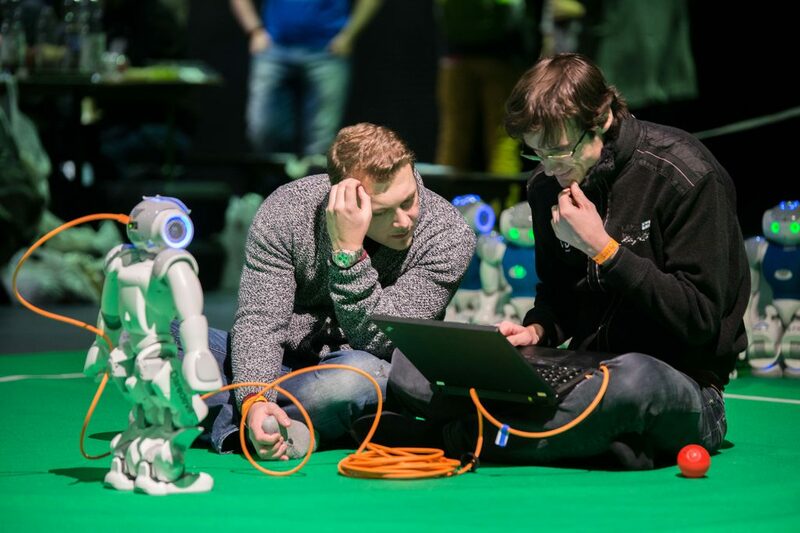 Next weekend, May 6th and 7th, is Make Munich. Hackaday wants to help you warm up with a Bring-a-Hack party on Friday, May 5th from 20:30 and on at the Munich local branch of the Chaos Computer Club. Immediately following build-up for exhibitors at Make Munich, head on over to Schleißheimer Str. 41 (corner Heßstrasse, U-Bahn Theresienstraße) where Hackaday will be providing beer, Mate, and pizza for anyone who brings along a small project that they’re working on. We’ll have Hackaday.com and Hackaday Prize stickers galore, and a few copies of the Hackaday Omnibus on hand for those who really wow us, or just ask really nicely. Afterwards, get a little sleep and then head back over to Make Munich on Saturday morning. We’ll be wandering around at least on Saturday, so if you see anyone in a Hackaday t-shirt, say hi! There is a lot to see. Unlike other similar fairs, Make Munich is entirely volunteer-run, and a great way to show your support for the local scene is to help out. The deal: hang out with cool people and help run the show for four hours, and you get in free. We’ve heard that they still have some shifts open. Saturday night is the Hebocon terrible robot battle, which is always absurd, and always worth the price of admission. (And you’ve already paid that if you’re going to attend on Saturday anyway.) Rules are sumo-esque, and if your lump of, well whatever, moves — it’s a robot and it has a chance. Battle starts at 18:30. Check out the video from last year embedded below. If you still want more Make Munich, it goes on Sunday as well. We’ll be at home typing up the previous days’ events so the rest of you can read about it while sipping coffee. Just in case you missed it in all the hubbub, we repeat: Hackaday Prize Bring-a-Hack at μC3, Friday May 5th from 20:30 on. If your idea of a six-course meal is a small order of chicken nuggets, you might have missed the rise of sous vide among cooks. The idea is you seal food in a plastic pouch and then cook it in a water bath that is held at a precise temperature. That temperature is much lower than you usually use, so the cook times are long, but the result is food that is evenly cooked and does not lose much moisture during the cooking process. Of course, controlling a temperature is a perfect job for a microcontroller and [Kasperkors] has made his own setup using an Arduino for control. The post is in Danish, but Google translate is frighteningly good. The attractive setup uses an Arduino Mega, a display, a waterproof temperature probe, and some odds and ends. The translation does fall down a little on the parts list, but if you substitute “ground” for “earth” and “soil” you should be safe. For the true epicurean, form is as important as function, and [Kasperkors’] acrylic box with LEDs within is certainly eye-catching. You can see a video of the device, below. Outlawed now in some places, or only available to tote your purchases at a ridiculous premium, the billions of “T-shirt” bags used every year present a serious waste management problem. Whether blowing across the landscape like synthetic tumbleweeds, floating in the ocean as ersatz jellyfish, or clogging up municipal waste streams, finding a way to deal with them could really make a difference. And finding a bug that eats polyethylene and poops antifreeze might be a great first step in bioremediating the mess. As with many scientific discoveries, learning about the useful and unexpected eating habits of the larval stage of the Greater Wax Moth Galleria mellonella can be chalked up to serendipity. It began when biochemist [Federica Bertocchini] cleaned a wax moth infestation from her beehive. 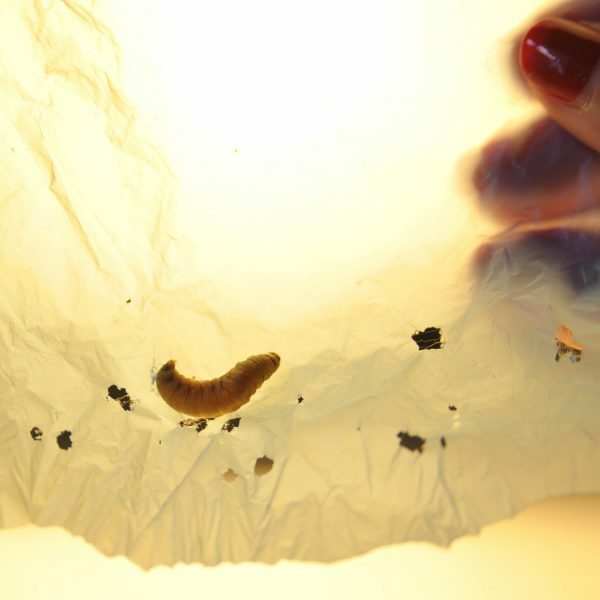 She put the beeswax-loving pests in a plastic bag, later finding they had chewed their way out. Intrigued, she and [Paolo Bombelli] ran some experiments using the bugs. They showed the mechanism wasn’t just mechanical and that the worms were digesting the polyethylene, to the tune of 92 mg consumed for 100 worms in 12 hours. That’s about 1,000 times faster than bioremediation with bacteria. Furthermore, the bugs excrete ethylene glycol, a useful industrial chemical, in the process. Finally, to see if the process can scale, the researchers showed that a homogenate of wax moth larvae could digest PE sheets. This could lead to an industrial process if the enzymes involved can be isolated and engineered. The letter describing the process is a fascinating read. While this one may not a classically hackish way to deal with plastic recycling, the potential for this method is huge. We look forward to seeing where this goes. We are once again saddened to report the loss of another great hacker. Patrick Joyce has passed away after a decade-long struggle with ALS/MND. Patrick was the team captain of Eyedriveomatic, the Grand Prize winning hardware from the 2015 Hackaday Prize. The loss of Patrick comes quickly after receiving word on Monday about the death of Patrick’s teammate, Steve Evans. Despite the challenges Patrick faced in the final years of his life he was a prolific hardware hacker. He and his team won the Hackaday Prize in 2015 for designing a system which allowed electric wheelchairs to be controlled with eye gaze software without altering the chairs themselves (which are often not owned by the user). But he was also a finalist in the Assistive Technologies challenge of the 2016 Hackaday Prize. The Raimi’s Arm project set its goal at creating bionic arms for kids — a noble and worthy challenge for everyone to undertake. Check out Patrick’s profile page and you’ll see he has also built an open source head mouse (an alternative to eye gaze controls) and a headphone robot which allowed him to put on and take off his own headphones. I find it amazing what he achieved in his work considering the physical limitations placed before him. Patrick had limited use of one hand which he used with a joystick for mouse control. His typing was done using eye gaze. Yet he managed to design and document a number of incredible creations. This is inspiring. Reflect on this loss to our community, but take comfort in the fact that his work lives on. Cody Barnes, the software developer for the Eyedrivomatic, plans to continue work on the project. If you are interested in helping to make that open source assistive tech available to more people who need it, now is a great time to send a private message to Cody to learn more about getting involved.